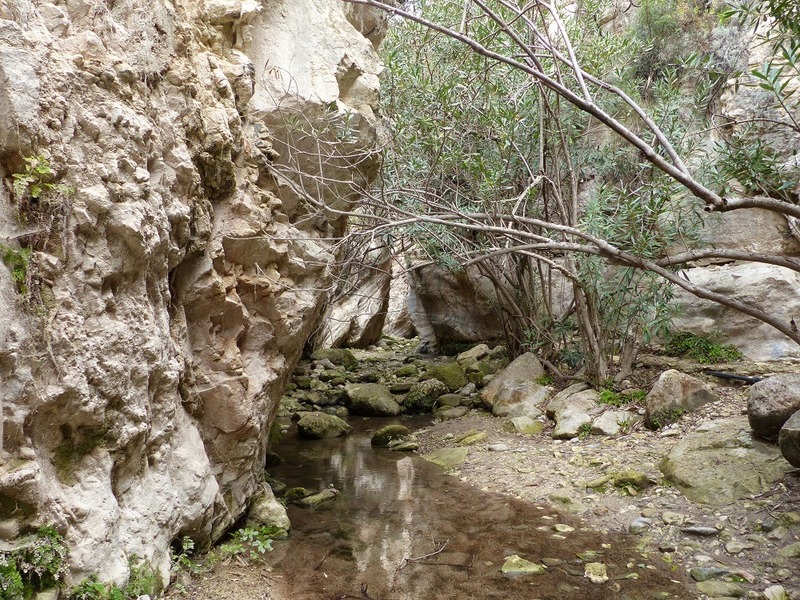 We chose the worst day so far for weather to visit the Avakas Gorge, just north of Paphos. 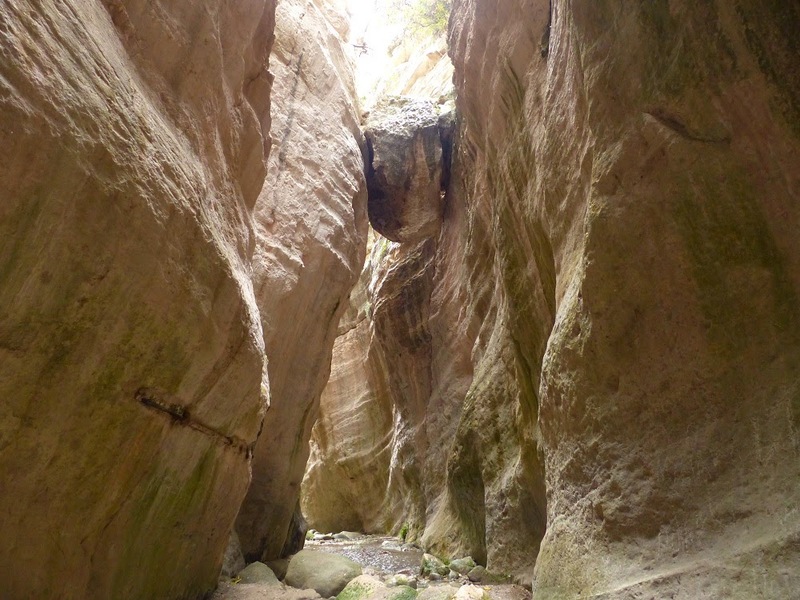 It's a spectacular place, a limestone gorge in which the river, fed from the Troodos mountains, has cut vertically down over the millennia, to leave a gorge over 100m deep yet as narrow as 3m wide in places. It had a particular attraction for me because it has a host of rare plants, and in winter, is usually home to a wallcreeper or two, a species which I have spectacularly managed to avoid on umpteen visits to the mountains of Europe over the past 30 years. A major bogey bird in other words. Half an hour later the walls of the gorge were so close that we could nearly touch both sides at the same time and we were walking along the river bed and clambering over boulders over a metre high. A few spots of rain began to fall, and by the time we reached the pinnacle where the gorge opened out, the rain was falling heavy, the sky was black and it was thundering. We sheltered near the pinnacle and ate our lunch. I was cursing inside, because I knew that really we should head back and that I had no chance of getting back here this holiday. The wallcreeper curse had struck again apparently. I desperately scanned the towering cliff face above as I ate my lunch and the rain continued to pour. After lunch we continued for perhaps another 100m before I heard the words I had dreaded: "I think we should turn back". I had a last scan around, and turned back. 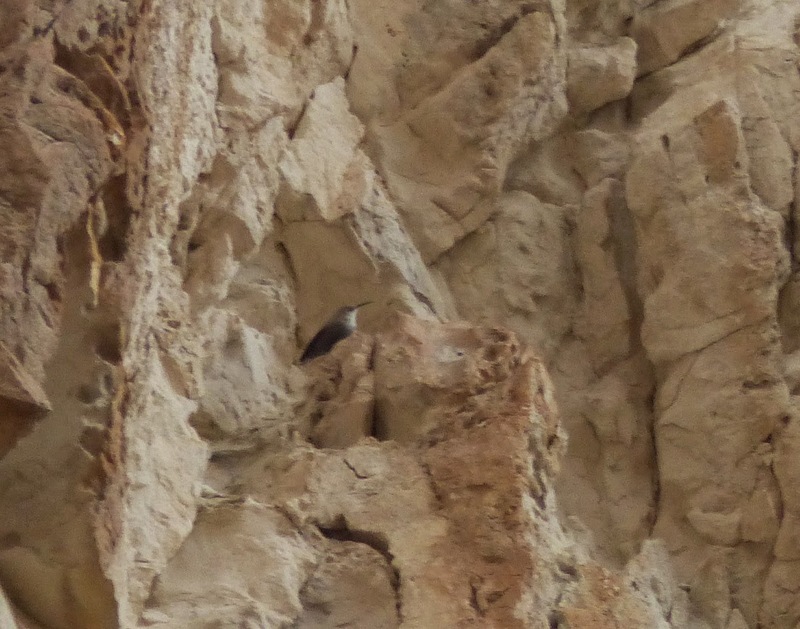 We had only just reached the main area for wallcreeper and I'd spent maybe 10 minutes scanning the cliffs for a bird which I knew was probably there and which I'd spent 30 years trying to find. I kept scanning as we walked back, looking up all of the time and stumbling over roots and boulders made treacherously slippy by the rain, which had now begun to ease. Still nothing. Then suddenly I couldn't believe my eyes. 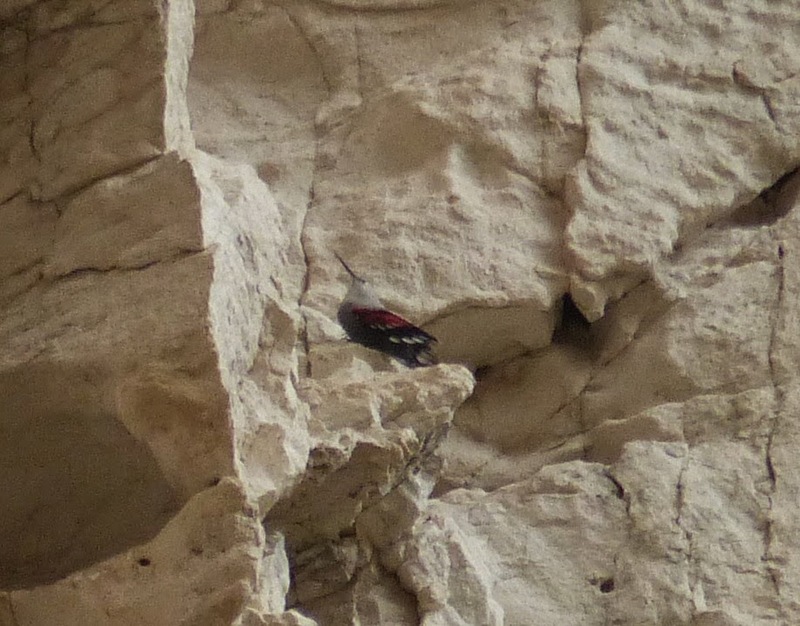 Just at the point where we were about to disappear into the narrow section of gorge again, at the very point where all hope would be lost, there it was, a wallcreeper, fluttering about the cliff face like a large grey and red butterfly! The relief was incredible. My day had gone from abject failure to delirious success in the space of 10 seconds! 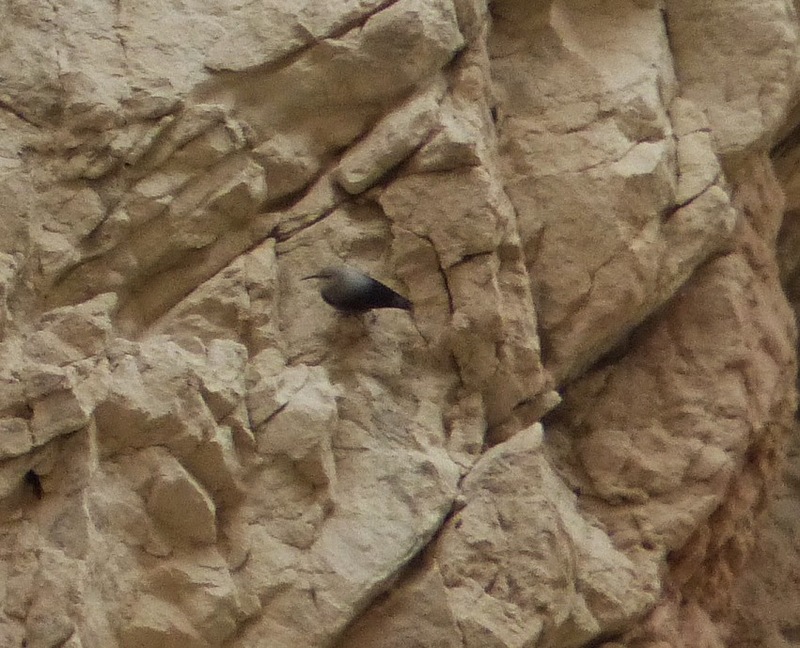 We stood and watched it for perhaps five minutes before it flew off around the cliff and was lost to sight. Fantastic! At last! 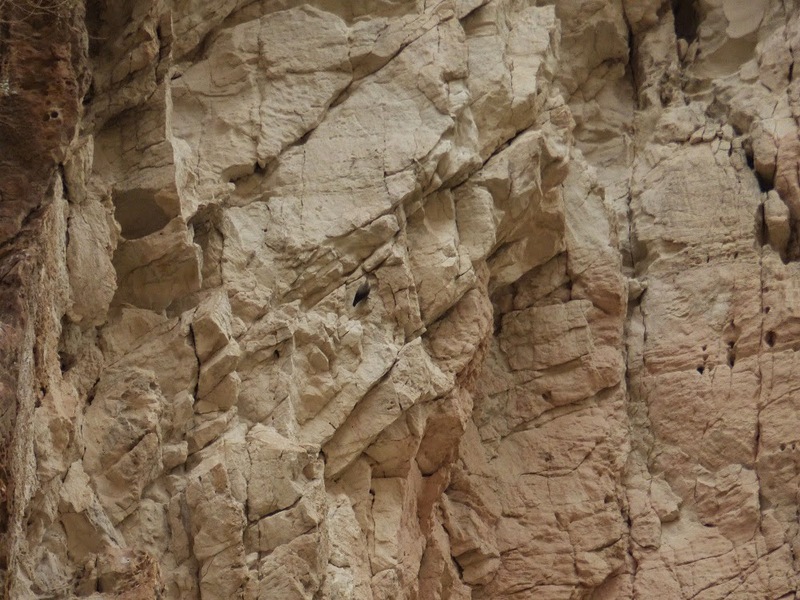 On the way into the gorge, we saw a falcon which looked sooty grey both above and below, which looked to all the World like a male red-footed falcon, and in the gorge a raptor flew over which I reckon was long-legged buzzard, but neither were good enough views to confirm the identification. 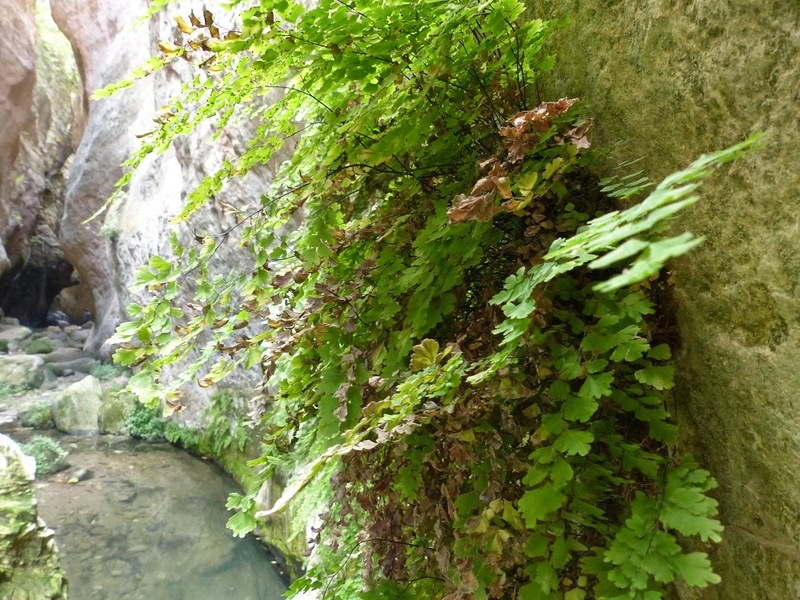 Maidenhair fern sp. growing in the gorge. 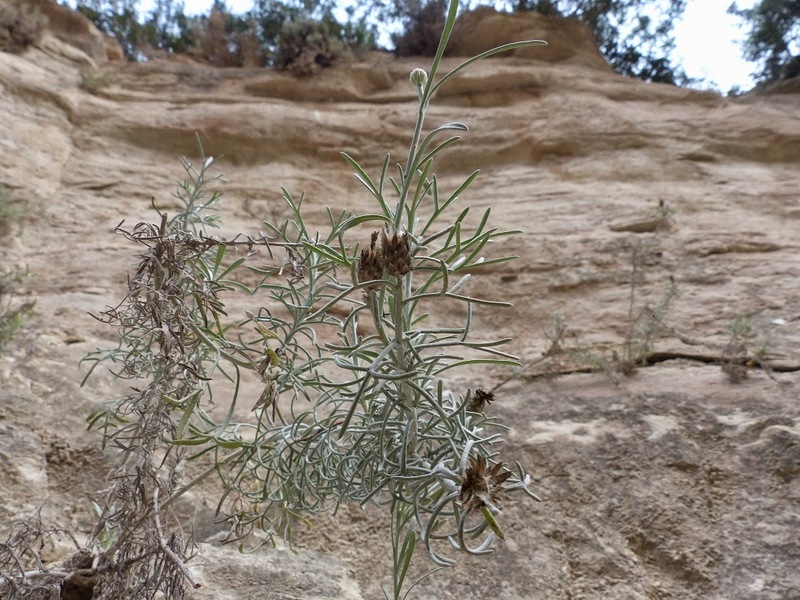 Probably the rarest plant in the gorge, this is Centaurea akamantis, a Cyprus endemic which is apparently virtually restricted to the gorge. Gone to seed now I'm afraid, but still nice to see. Now this is Cyprus cyclamen! Notice the purple 'M' on the base of the flower. 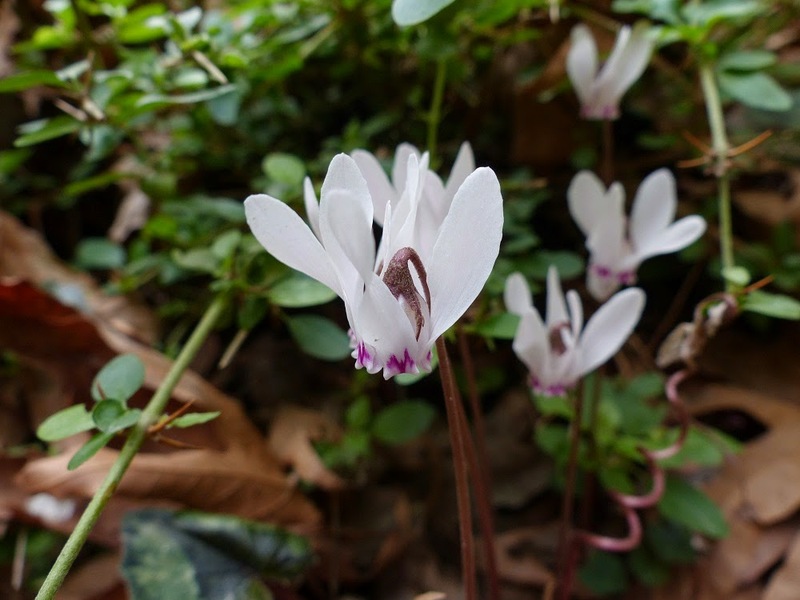 Having seen this I'm now no longer confident that the cyclamen we saw at the Tombs of the Kings was Cyprus cyclamen. I'll have to check when I get back.